I started a little project tonight to compile a list of the FFA's failures & general ineptitude. One night and you've come up with all that. Wait till people start reminding you of more stuff. Not booking Grand Final venue. Prices for FFA Cup final. "So Damien , we're all set. Media interviews in place, tickets allocated, dignitaries invited and you've booked the stadium right?" Massive highlight of the entire Wanderers' story. side note.. "A-League club owners meet in Duabi to discuss" where? Get Bozza to run FFA! Duabi's house... back of Lakemba. Brilliant idea! It feels as if something weekly has gone wrong with the FFA and their only held accountable for a period of said week only for it to be pushed aside for another controversy. Finally a list that can showcase the amount of **** ups! I love it - kudos Mack! I'd like to know what sort of consultation takes place between the FFA and Ange because he has incredible insight and vision. Di Pietro in charge with Ange as an advisor/consultant would achieve great progress. Di Petro and Ange, with Bozza taking care as a fan's liaison officer. Bring back Bonita. Collina for the referees and we'll be right. And they replaced De Bohun with some dude that hasn't said a word for the past season, as head chief of the a league is he trying to do or achieve "if i don't react or become part of football in the public eye they i can't get reprimanded"? First we use an ex afl ceo then a ex nrl ceo for FFA. Leaked documents pretty much got sweeped underneath the carpet with not much consequences for anyone in the FFA 12 mths ago. Back in 2014 Fallop promised half of a league clubs would be turning in a profit from 2014/15 onwards. FFA cup is the only good thing been done, but that also has had its initial stage were it needs to progress and reviewed to make it develop into something stronger. A league needs to move into the next millenium. We can look at being like the Japs/Koreans who have a strong league with the majority of their top players playin in their own league earning decent wages or go the CSL league way and release the salary cap to make way for heavy spending on bringing quality marquees and investors into the a league. One system will help the league become stronger the other system (CSL way) will help the league become stronger also like EPL but might damage the national set up if the obsession with big signings takes place. Example EPL most entertaining league most watched highest revenue etc, but their national team has suffered from the EPL as all clubs search for the best talent worldwide and don't focus on national players too much, having relegation means to much at steak to risk if they fall out of the Premiership in terms of cash and sponsors. If no relegation is kept than teams in the A-league won't be scared to use youth/national players as they will focus on development where other bigger teams will focus more on marquees and entertainment and some like WSW will try to combine both. Gallop quotes back in 2014.
â€œWe are not completely through the woods yet financially but half of the clubs will make a profit or at least break even, which is not something we could have said even only a couple of years ago." We are conscious that the FFA have never been in the position before of a healthy equity position, so we have to ensure those funds are used wisely." "By 2018 we will have 14 A-League teams and memberships will be close to the 200 000 mark." Gallop and Cahill war of words....then results in them hugging one another. That pic has to be added to this list. how can a few people in a suit wreak so much havoc, despair and ineptitude in a management role?? As long as Lowy family is owning football nothing will change and the continued mates deals for their cronnies eg foxtel changing starting game times to 7:50 or Thursday night fixtures and this is before a new much lower than expected TV deal is done. Don't forget the discounted sponsors deals for Westfield's and mates rates to buy WSW for Lederer. Mishaps of missing football rego fee's but he no one will ever see the actual books let alone FFA releasing detailed financial reports. 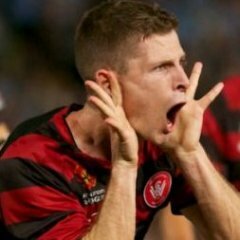 Brisbane having to play 9 matches in 32 days across China, Perth and Melbourne, Wanderers playing 4 games in 10 days Sydney(derby), Perth and China all despite the FFA knowing we were the ACL before the season started. Part of this is at the fault of Foxtel too. Along with kickoffs in temps over 35*C.
Victory's game away in Wellington getting postponed due to the earthquake and the FFA re-scheduling it midweek next to their away game in Perth. 2. Crony Capitalism. It's exactly what FFA supports. Irrespective of salary, I think the real issue is whether these individuals are value for money. Most CEO's are capable of growing their market share and profitability, and to a degree justify their entitlements. If I get paid $1m a year but add $200m to the bottom line then shareholders tend to be happy. I personally think David is completely out of his depth. If you digest his CV it's clear to see he is an administrator - not a business developer, hence anything that relates to growing or maintaining market share appears to get delayed and is overwhelming audit based. This coupled with the fact that he has no underlying association with football as a player, coach, manager, sports coordinator means he has no motivation to succeed but simply have a tenure. Have a look at the CEO for netball Australia as an example, and how they are evolving. David also struggles with sports management within an open market. Not to offend but the NRL for example is a closed market. There is no world cup, because the sport is played professionally in a handfull of countries. It's easy to be world champions when the 'world' consists of only 2 or 3 competitive countries. It's as farcical as the baseball world series played only in the US. Rant. David's golden ladder was also provided care of News limited, hence negotiations pertaining to FTA could be construed as a conflict of interest. But we all know how the system works. At the end of the day the underlying issue with the sport at the moment seems to be whom are the shareholders. If David continues to see his shareholders as club owners or his board and not that of every single registration paying member then I think we'll see the sport implode on itself within the next few years. I'd be curious to know whom the forum would employ into the role? Is something I've struggled with... someone whom has a real passion for the game, but at the same time a real heavy hitter. Thoughts? Brilliant. The only thing I'd take issue with is that the wording assumes he was ok at sports management in a closed market, when he was pitiful for the NRL too. There is no doubt that Gallop (and maybe Lowy Jr) is totally out of his depth, which is why the FFA just deflect and dodge and do nothing. How that guy has parlayed being a News Ltd lawyer into running - and failing - at two high profile CEO jobs is a mystery. The guy is the biggest imposter there has ever been. Well, apart from the current President of the USA of course. It might be a stretch to get someone that has all of those things. Someone who doesn't know the sport might be able to get by if they were great at the others for example, as they would surround themselves with the right football people. Or vice versa. * Knowledge of sport - 2/10 - only because he seems to know the figures (and guards them closely) and has been here long enough that he must have picked up something. His problem though, is truly understanding what he is hearing or seeing. * Business savvy - 2/10 - clueless as an entrepreneur, no #vision, no risks, no creativity. Scores 2 for seeming to have some administration skills and an ability to understand the figures behind current operations, if not the ability to see how figures could change if the game changed its approach. * Media savvy - 1/10 - again, manages to keep his head when there is hysteria around. Useless apart from that. * Consultative and collaborative - 0/10. Has to be dragged kicking and screaming to every discussion. Absolutely woeful at getting out of his office. David scores 6 out of 60. I'd be curious to know whom the forum would employ into the role? There's an entire world of football people. Ask around the Bundesliga & DFB and see if any of their top people want to come to Australia and be promoted to running a Federation. Ask around Japan or the USA and do the same thing. Ask around the Bundesliga and see if any of their top people want to come to Australia and be promoted to running a Federation. Ask around Japan or the USA and do the same thing. 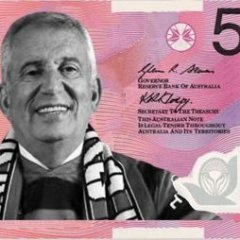 I heard the guy who took over the PFA on a pod John D. who worked at Melbourne Heart, and the FFA as well as a former NSL player would be the perfect chairman from a football perspective. However, he would be crucified by the MSM. He was the was who put forward the new W-League ideas for 60 professionals. Someone from Germany would be ideal. I'm recalling this from memory but in DFB does the youth scouting, when they find talent they alert the local club.